Hello everyone! The weather is freezing, but I’m glad there isn’t that much rain in my area. That’s a good thing for me, because that means that if it’s too cold for rain, there is hope for snow again. 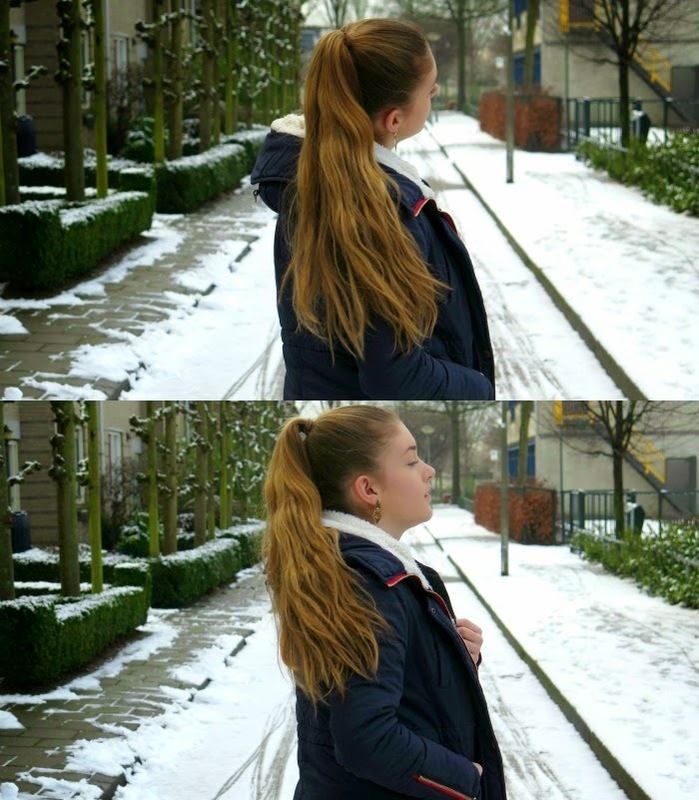 I would love to make some pictures in the snow again, it feels like such a long time ago. – Wow, I really did wrote that the day before. Isn’t amazing? So, it snows :). - The weather makes me feel fresh and it feels like the cold has pulled off a layer of my skin. Not in a cruel but in a ‘new start’ kind of way. It looks like the new year has just started for me. Today I’m going to show you an outfit with some clothes I have never worn in photos before. 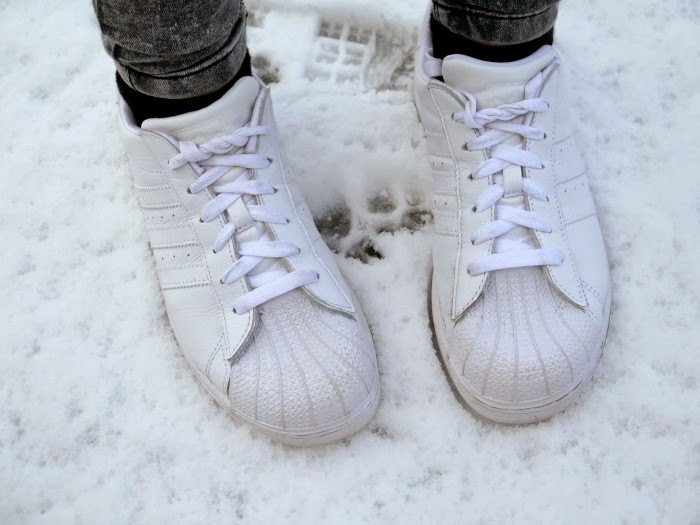 The sneakers, Adidas superstar, I got them for my brithday. The coat I’m wearing is from Sheinside, and at first I really had my doubts about it. It had a piece of fur, a BIG one. And I did not like that at all. So I threw it off, and now I like it better. I really feel very comfortable (Warm) and stylish in this outfit. That doesn’t happen very much. I’m also in the middle of my test week, so I really hope that my notes are going to be alright. OHHH. And before I forget. Lately, I’m obsessed with this series: Once upon a time. Really, you NEED to watch it if you aren’t already. Well, have nice week everyone! 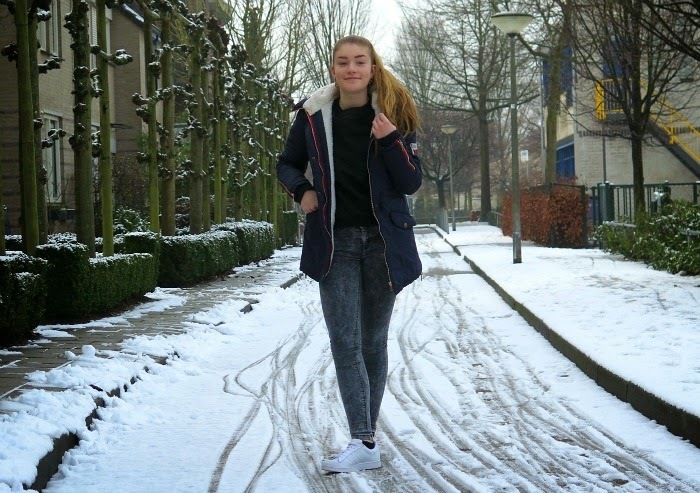 Wat een leuke outfit, supermooie jas! Succes nog met je toetsen! 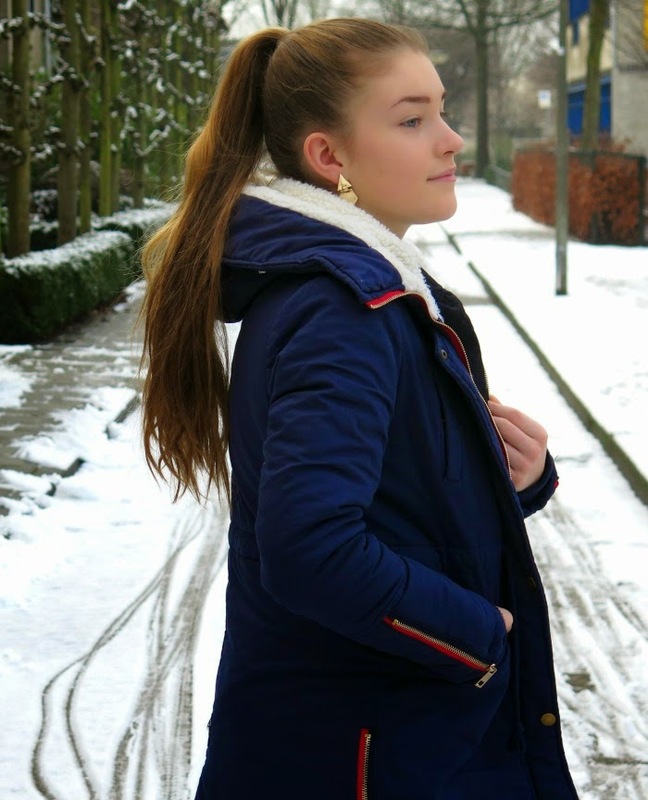 Hele leuke outfit en lekker warm met die weer hihi!